Mango Sago made with mangoes, tapioca pearls, and milk. Sweet, tangy and creamy, it’s a summer dessert you’d want all year long! Guys, we’re less than a month away from summer and you know what that means? Mangoes. Boatloads of sweet, juicy mangoes coming our way! Actually, I am already finding mangoes in abundance at our neighborhood supermarkets and I’ve been stocking up as much as I can humanly consume. Which, my friends, is a LOT. 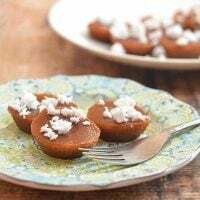 Not only do I like to finish off a meal with a fresh cheek or two of the fruit, I also love to use it in cooking from sweet desserts to savory dishes. Who can resist homemade mango ice cream, right? How about Thai mango salad? Yes, please! 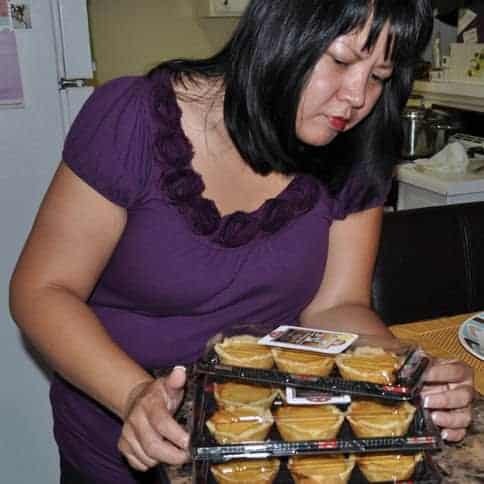 Mango bread with a cup of tea? A sweet slice of heaven! 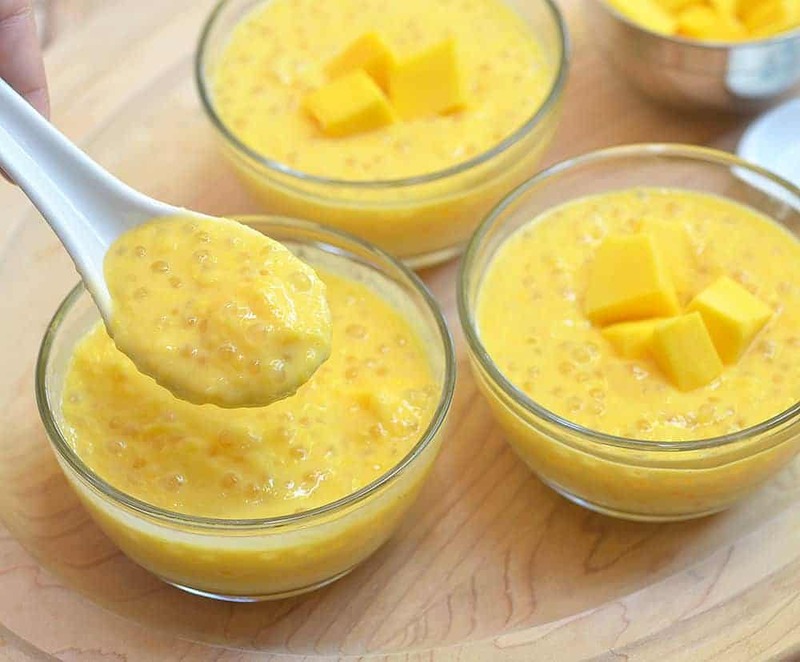 To add to my growing mango obsession is this mango sago. A delightful medley of sweet, tangy and creamy, it’s a refreshing summer treat you’d want all year long! 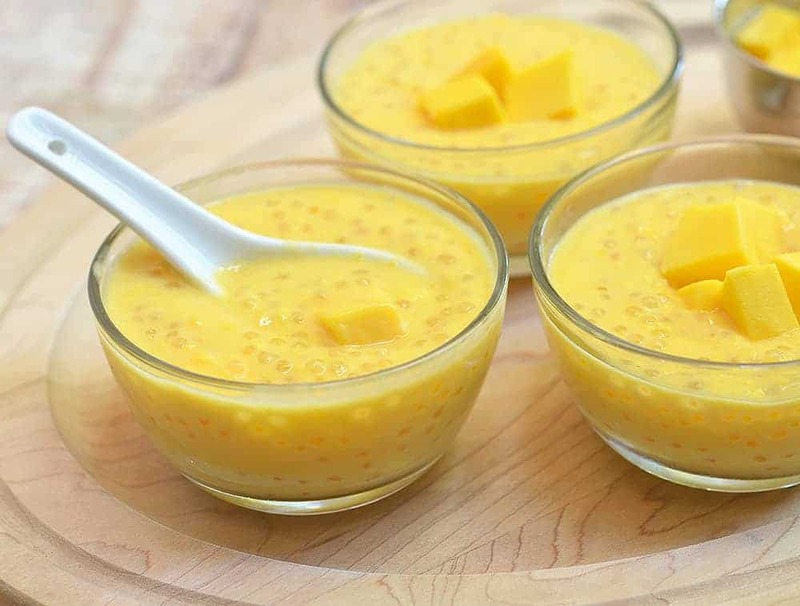 Mango sago is an adaptation of a traditional Asian dessert invented by a Hongkong restaurant in the early 1980’s which has grown in popularity across the globe and can now be found on the menu list of most Chinese restaurants. 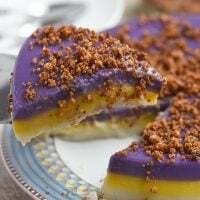 Along with the mango pudding and tapioca pearls, the original Hongkong version includes pomelo sections which you can definitely add in if you prefer another layer of flavor and texture. 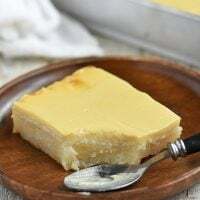 This is for sure one of the easiest and simplest desserts you can make. It only needs five ingredients and is convenient for serving a crowd as it can be prepped ahead of time. In fact, it tastes so much better when chilled for a few hours and the flavors had a chance to meld. 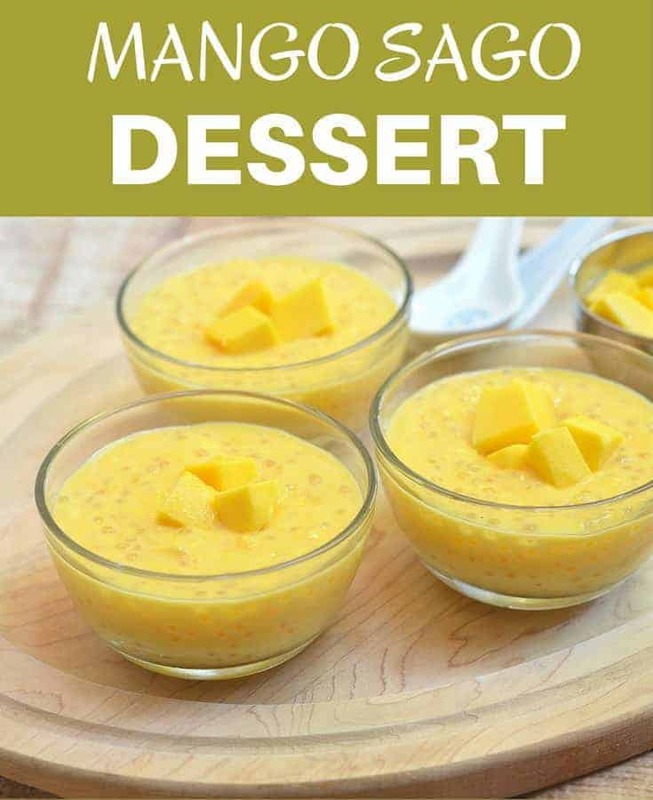 I personally like to use slightly underripe mangoes (already yellow but still very firm) as I find the extra hint of tartness makes the mango sago more refreshing but feel free to use very ripe mangoes or add more sugar if you want something a little sweeter. Although you can use just about any type of mango, I suggest picking ones that have a smooth flesh and have no fibers like our Manila Mangoes or Ataulfo. 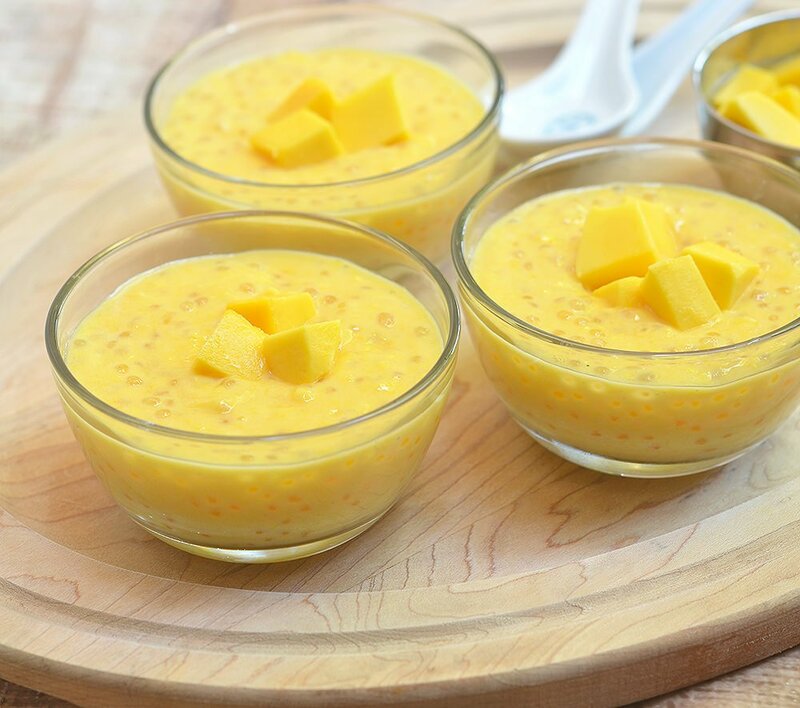 Mango Sago made with mangoes, tapioca pearls, and milk. 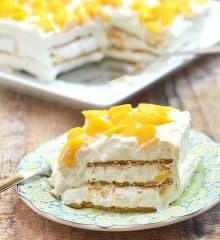 Sweet, tangy and creamy, it's a summer dessert you'd want all year long! 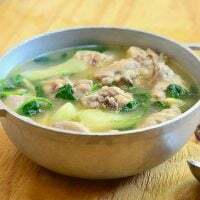 In a large pot over medium heat, bring water to a boil. Add tapioca pearls and cook, stirring regularly, for about 7 to 10 minutes. Turn off heat and cover. Let tapioca pearls stand in hot water until translucent and cooked through. In a colander, rinse cooked sago under cold running water to remove excess starch. Drain well and let cool completely. This would be about 1 cup cooked sago. Peel mangoes and cut flesh from pits. Cube the flesh of four mangoes. Dice the flesh of the remaining 1 mango and set aside to use as garnish. 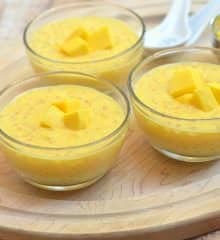 In a blender or food processor, combine cubed mango flesh from the 4 mangoes, evaporated milk and sugar. Process until smooth and thick. Combine mango puree and sago. Chill in the refrigerator until ready to serve. 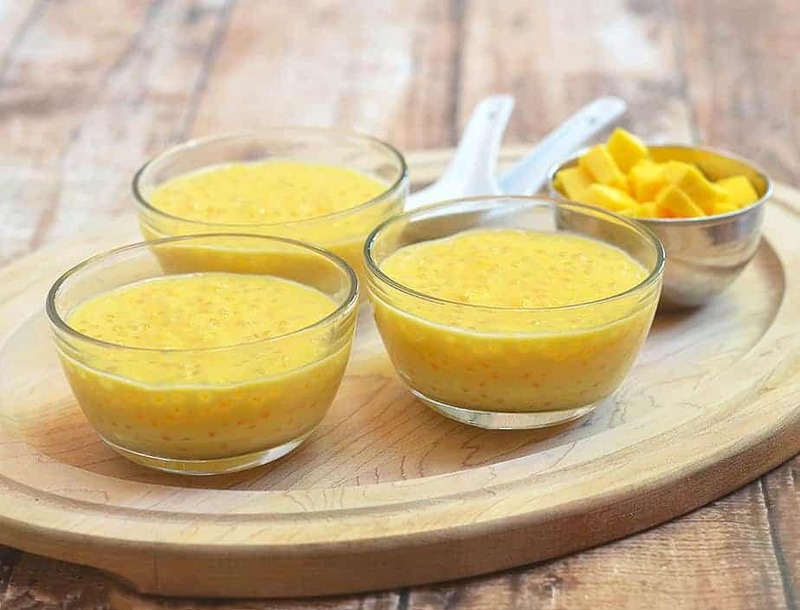 Divide mango sago into serving bowls and garnish with diced mangoes. Serve immediately. Can I use ordinary cow’s milk? Yes, you can but the taste might not be as creamy and rich. Can I use coconut milk?